Hello again, it’s Staci from Let’s Teach Something! I’m so excited to be back with Teacher Created Resources again. I’m here this time to give you a little insight on some math practices that have best worked in my classroom. Here are my top 5 best practices for teaching math: In & Out Tickets, Scavenger Hunts, Daily Warm-Ups, Anchor Charts, and Whiteboards. 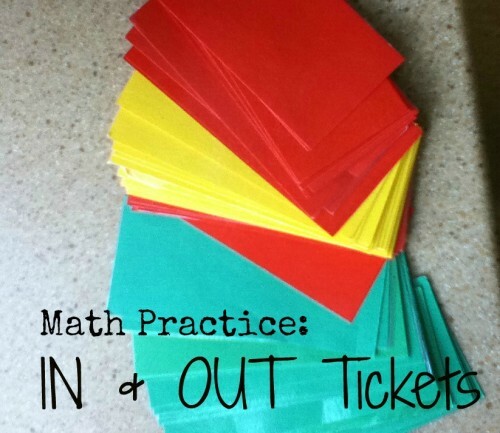 1) I pass out the tickets at the end of a math lesson and the students have to answer an “exit question or equation” on their ticket. As the students leave my room, they have to give me their ticket. If the answer is correct, they get to move on to the next class. If the answer is wrong, they have to sit back down and try again. If, after the 2nd attempt, they still get it wrong, I make a note and work with the student one on one either before or after school (or during work time in class.) At the door, I keep a clipboard and make note of how the students are doing on their in & out tickets. If a student consistently has to go back for a second chance, this alerts me that it is becoming a trend and it’s time for me to do a little intervention work with them. 2) I’ve also used the ticket system on homework. I give them a ticket and tell them it’s their ticket into the class. Same procedure applies if they get it wrong as with the ticket out. They get two chances before I work with them individually before or after school or during quiet class work time. 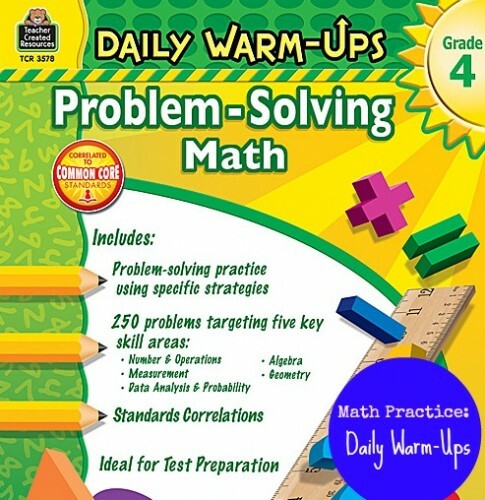 Giving my students a quick warm-up each morning when we start math helps get them in the math mood and helps to reinforce what has already been taught. The old saying “If you don’t use it, you lose it!” comes to mind when I give them the quick warm-ups. If I teach my students about telling time and then never ask them to practice, they will lose it. This quick warm-up gives them that quick practice without having to spend a lot of time doing it. A little each day goes a long way! 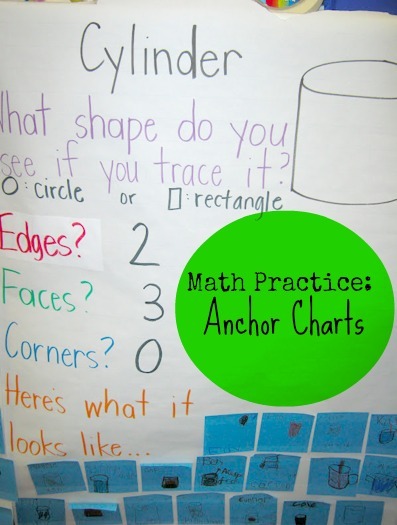 Anchor charts have been around forever..and it’s because they work! I allow students to help me create them. My philosophy: students who actively participate in the creation of classroom resources retain the information better. In this photo, my Kindergarten students helped create anchor charts for 3D objects. We discussed their attributes and I added them as they discovered them. Then they each got a sticky note and were able to draw their own 3D object at the bottom of the anchor chart. Sure, it’s easy to create my own anchor charts before or after school, but using class time to create them WITH my students creates a lasting foundation for my instruction. I LOVE whiteboards (or chalkboards if you have those in your classroom). 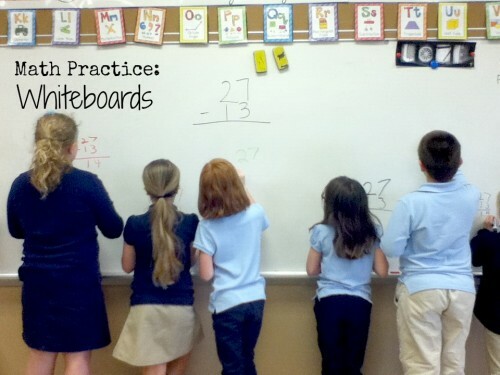 If I could, I would have a whiteboard installed on all 4 walls of my classroom. Students love writing on them and I can tell, at a glance, the thought process of my students as they work on the boards. I especially love using them in math class. 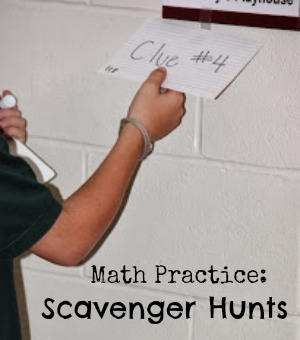 It’s so easy to line the students up and rattle off math problems. The students write the problem on their part of the board and you, the teacher, can stand back and watch all of your class and can address questions immediately. If someone adds wrong, you can simply stand behind them and watch their thought process and correct immediately instead of having to wait to “grade” their work after school. If you do not have a large board space in your classroom, you can also use this technique with individual white boards. It gets a little trickier with keeping an eye on all of your students, but it’s still more effective in allowing me to give feedback more immediately. 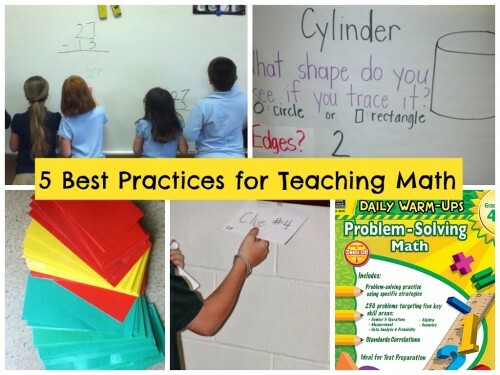 I hope these math practices help you in your classroom and your students enjoy them as much as mine do! Be sure to stop by my blog for more from my classroom! I really love the ices of laminating the note cards for re use! Hi there, I’m impressed with your idea and hope to keep in touch.